Within activities aimed to strengthen capacity of metal processing companies in area of marketing, representatives of Eda, GIZ and German expert for marketing, Mr. Jürgen Burks, visited five companies from Tešanj, Gračanica and Prijedor. On that occasion, opinions on prepared draft version of marketing plans were exchanged and suggestions for their further improvement were provided. Visits to companies also included visits to their production facilities to get information on production capabilities. 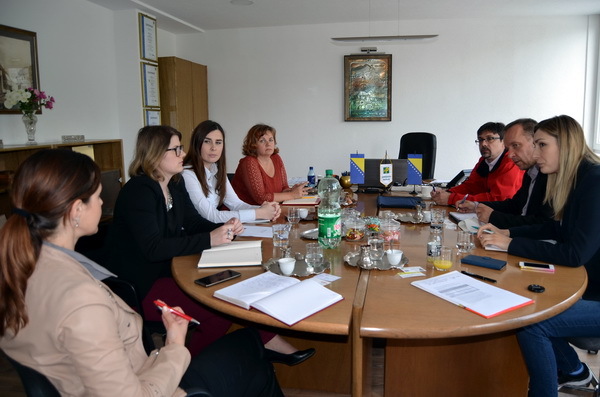 Implemented activities were conducted within a joint EU and German Government Programme for Local-Self Government and Economic Development in BiH – EU ProLocal, implemented by GIZ.